For over 45 years, we have supported hundreds of businesses ranging from small community‑run enterprises to large award‑winning organisations – we sometimes describe this as ‘lending good money to nice people doing good things’. As we were discussing within the team recently, this all pretty much started off as a conversation over someone’s kitchen table, a group of co-operators wondering how they could help support the development of new co-ops, and a thriving co-ops sector. 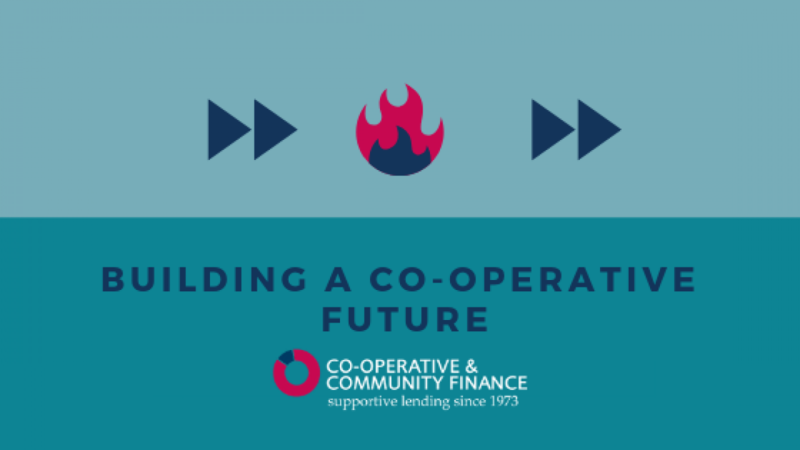 We’re proud to be part of this thread, linking the future of coops to the co-operative past. We’re dedicated to member ownership, to co-ops, and we’re committed to Principle Six (co-operation among co-operatives) and so we support sector events through sponsorship, with practical support, and by helping to promote them. Events bring us together, allow us to collaborate, problem solve and create new solutions, to build the better world and economy that we all want to be part of. We’re committed to new co-ops and the older co-operative economy, and so it’s part of our ethos to support environments to foster co-operation. Back in February we sponsored Future Co-operatives ‘Can Co-operative Deserts Bloom?’ and were impressed by the range of ideas coming out of it, including from those perhaps seldom heard younger voices. Both of these events are about envisioning a different future – as Ways Forward say, ‘business-as-usual is no longer a viable option’, but more than visioning, planning, acting, building and doing – all things that co-operatives are so good at. We can’t wait to see what comes out of these events and we hope to see you at one of them.